My Personal Hotspot (henceforth PH) remains on, with the same password (see underneath). After clicking the Wireless icon on my notification area/system tray, I see 'iPhone' on my WiFi list and connect successfully. Suppose that my iPhone remains on, but I shut down/hibernate/sleep my laptop. After I turn on my laptop again, why does 'iPhone' never appear on my laptop's WiFi list automatically? I have waited 10, 30, 60 mins, and repeated this process 5 times. Then I enter Settings > PH, change nothing, and see no changes. 3 mins. later, iPhone appears on my laptop's WiFi list. 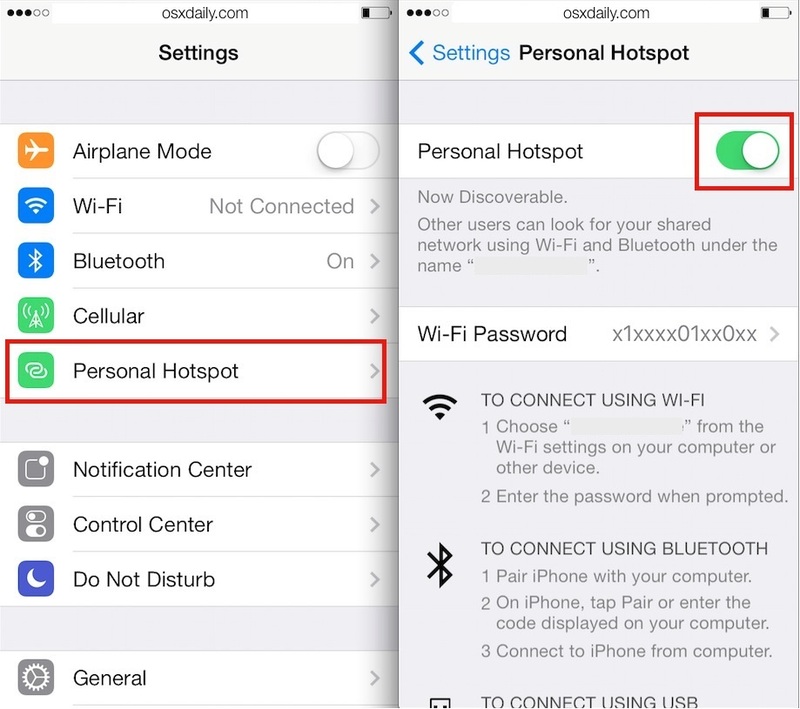 The problem is with the iOS Personal Hotspot feature. By design, the network is discoverable only when the Hotspot screen is open. This means that your PC can't find the network when waking up/rebooting. Unfortunately there seems to be no workaround, I was looking for the same thing for my old car stereo, and I ultimately ended up getting a dedicated personal hotspot for it. The only workaround is to open the Personal Hotspot screen every time you restart/wake up the PC. By default, Windows does not do "Bonjour", which is Apple's discovery protocol. If you have a Mac or iPad, you've likely noticed that your iPhone shows up after just a few seconds if they're both connected to the same iCloud account. You may have better luck after installing Bonjour for Windows. Unfortunately I've long been rid of any "true" Windows PC's so I can't test it for you. When Bonjour is enabled, part of the discovery can be over Bluetooth for power reasons, so you may want to check whether your Windows box supports Bluetooth and has it enabled. To identify whether the problem is on the Windows side or the Apple side, I suggest checking whether your iPhone shows up on a Mac/iPad connected to the same iCloud account. This seems to be more of a Windows questions. Not the answer you're looking for? Browse other questions tagged wifi windows . Is it possible to filter which applications can use my iPhone's Personal Hotspot? Why won't my MBP connect to Personal Hotspot via wifi? process to reliably connect Mac Wi-Fi to iPhone personal hotspot? How do I change the Hotspot timeout on my iPad Retina? 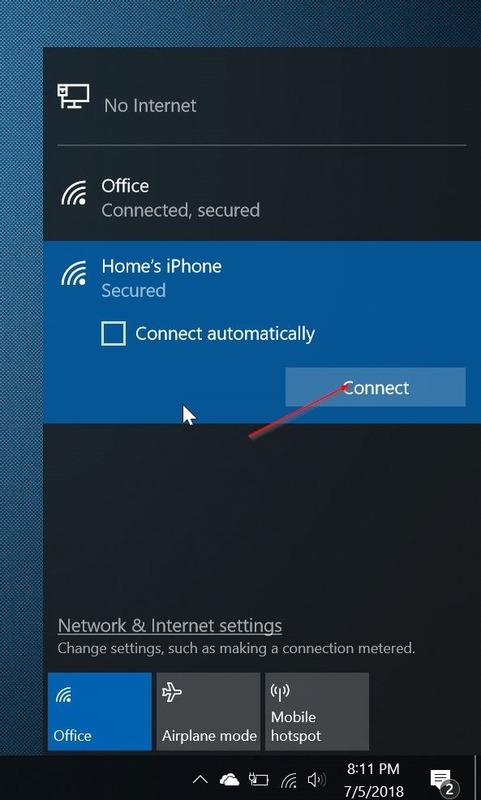 How can I get my iPad to automatically connect to my iPhone's hotspot?